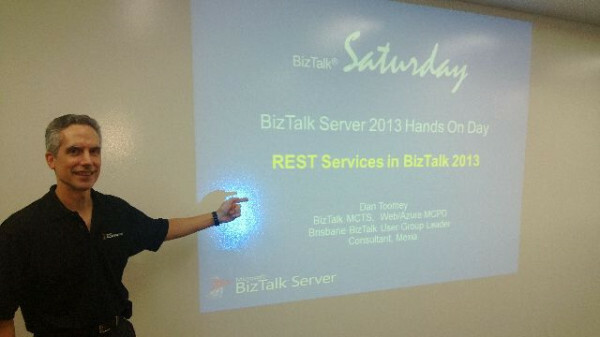 Just finished our BizTalk 2013 Hands On Day event in Brisbane, presenting with Bill Chesnut to a captivated audience about the new features and abilities to integrate with Azure. This is the last event for this round… but stay tuned for future events. Many thanks to Bill for his tireless effort at organising this and giving up most weekends, traveling all over Australia & New Zealand! Also thanks to Dean Robertson for the pic.